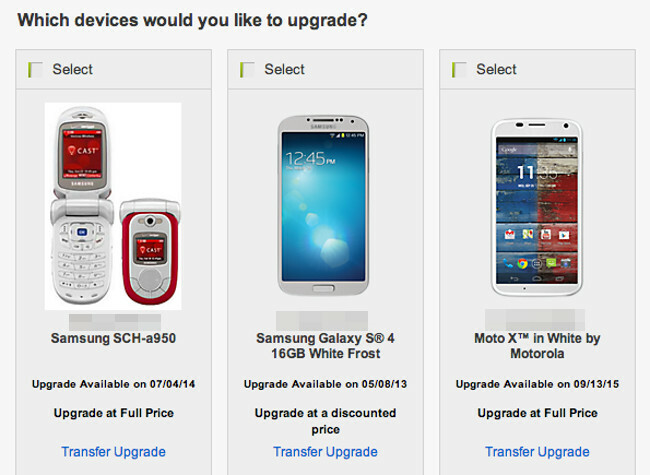 What’s the number one worry around these parts when it comes to upgrading to a new phone? Keeping unlimited data on Verizon, of course. Over the last couple of years, we have seen wireless carriers realize how important data is to their bottom lines and future earnings potential, which has in turn allowed them to start charging you a premium for every single GB you consume. With that realization and price hike, we also saw the death of unlimited data and the introduction of tiered or shared data plans that offer you less for a steeper price. Yes, you are now getting screwed by most carriers. They are finding ways to take away your unlimited data, while offering up services and phones that beg you to consume more, so that they can continue to nickel and dime you. It’s a terrible situation for consumers, but since you have chosen a carrier more than likely because they offer you superior coverage in your area, you are stuck taking it. Thankfully, there are a few ways for you to work the system to continue to enjoy that unlimited data that you locked into years ago. We have a couple that we’d like to go over to, so that as you approach contract end dates, you’ll know the proper steps to take to not give up your freedom. If you’d like to keep unlimited data going forward on Verizon, all you need to do is continue to buy phones at full retail. This means paying $500-$650 for top tier 4G LTE Android phones, so that you don’t have to sign a contract. You see, as you sign contracts, that’s when Verizon has the power to take away your current unlimited data plan and force you into something you aren’t going to be satisfied with. If you buy at full retail, all you need to do is then slap your current SIM card into the new phone and continue to enjoy your current monthly plan. Since there is no upfront discount or contract signing, you get an expensive new phone on the same data plan you already had. This is probably the least attractive option upfront for most consumers to choose, since it’s the most expensive, but we still feel that it’s your best overall. If you can force yourself to save up for phones and pay for them at full retail once your contract has run out, not only are you then keeping unlimited data, but you are also turning your account status to “month-to-month,” which means Verizon no longer has control over you. With a month-to-month account, you can walk away at any time without having to pay an ETF (early termination fee). The best place to order phones at full retail from Verizon is through the Iconic Portal. If you have more than one line on your Verizon account, the easiest way to keep unlimited data is to steal or transfer upgrades between lines and then use the newly purchased phones on your line with the unlimited data. Let me try to explain further, as there are details you don’t want to miss. If you have multiple lines on an account, Verizon will let you take upgrades and transfer them between lines as long as the transfer is going from phone to phone. For example, my situation looks like this – 3 line account, two have unlimited data, with a third setup as a feature phone that runs me $9.99 per month. Since I keep my phones on a month-to-month status for the most part, I almost always have an upgrade available on one of my two unlimited data lines. So should I want to upgrade one of those two unlimited lines and keep unlimited data, all I need to do is transfer my upgrade over to that feature phone line and use the upgrade for a new smartphone. There are a couple of ways to do this. The first would be to walk into a store, tell a sales rep that you have an upgrade to use, but don’t want to lose unlimited data. So you are going to transfer your upgrade to a different line, use the upgrade there, and then actually use the phone on an unlimited data line. They should be able to walk you through the process with no problem, just make sure when paperwork and signatures are flying around, that your unlimited data line isn’t being touched. They may have to add, remove, or tweak a data package on the line that you are technically using the upgrade for, but again, just make sure no changes are happening to your unlimited line. If you are like me, and use a feature phone line for upgrades to keep unlimited data, you can always remove a data package and return that line to a feature phone line of $9.99 per month once the entire process is all sorted out and your new phone is running on your unlimited line. The second method involves ordering a phone online from Verizon’s store. To begin, you need to transfer an upgrade to a line that you don’t care that much about (a feature phone or tiered data line). You can transfer upgrades in the dashboard through My Verizon. Once you have the upgrade transferred to a non-unlimited data line (could be a feature phone line), you walk through the ordering process with that line, buy a phone, and likely deal with some sort of smartphone data package add-on (likely 2GB for $30). Once the phone arrives, some recommend that you activate it on that feature phone/other line temporarily using the instructions that arrive with the phone. Be aware that this will also temporarily activate the previously mentioned smartphone data package. After activating, you will then need to call customer service to get the feature phone placed back in the system on that line as a $9.99 feature phone. This will kill off the 2GB $30 smartphone plan you just had on there and return your account to its previous state. Once that has been completed, grab the SIM card from your current phone with unlimited data and place it in the new smartphone that you would like to use on your unlimited line. This may seem like a lot of work, and I’m not 100% sure those extra steps are needed, but it is a proven method. Should you receive your new phone and activate it immediately on your unlimited data line without addressing the feature phone/other line, there is a chance that Verizon will take that as you using an unlimited line as an upgrade, which could in turn wipe out your unlimited data. I personally don’t think that’s possible, since you are only making changes to your feature phone line and not your unlimited line, but it’s better to play it safe. *Note – You may be able to remove the smartphone plan on your feature phone line through your account at Verizon’s website. Also, customer service can look back through your history to find the feature phone you’d like to use over and over again, so there is no need to keep that feature phone handy. Keep in mind that even if you transfer your upgrade to another line and then use the upgrade, you are extending your contract on the line which the upgrade originated (could be your unlimited line), not the line you transferred the upgrade to. This is probably going to be the most commonly used, assuming you have an account with more than one line attached because it is the least expensive. This may sound silly, but there really are ways for managers to override systems and return your account to unlimited data after purchasing a new phone at a discounted price. I haven’t personally gone this route, but a number of readers over the last year have emailed in with their success stories from select Verizon stores and dealing with employees who help get authorization on unlimited plans. I don’t have any stores to recommend going to to keep those unlimited plans, but I’m sure readers can help you out in the comments. This last option for you should technically work, but it definitely sounds like a lot of work and won’t save you all that much in the end. Should you choose to go this route, this is how it could go down. If you sign-up a new line on your account or even completely new account altogether, you could in theory buy a phone at a subsidized price for say $199, then cancel the line or account, pay an ETF (early termination fee) of $350, and come out slightly lower than a full retail priced phone. Most top tier phones run you $600 to $650 off-contract, but at $199 for the subsidized price plus $350 for an ETF, you are looking at somewhere around $550. And that’s assuming that Verizon doesn’t charge you up front for the first month’s data and minute package, an activation fee, and any other new account costs. I know unlimited data is important, but that all sounds like one massive headache. 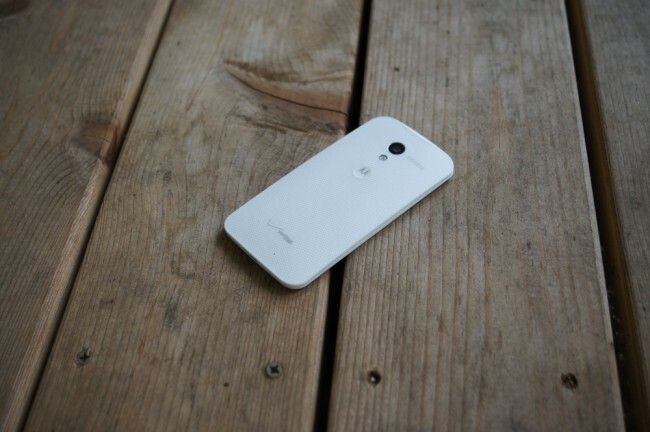 To keep it simple and clean, save up another $100 and buy the phone outright. As I mentioned in the beginning, carriers are going to do whatever they can to get you out of your unlimited data plan. Hopefully these couple of options will help save some of you from being nickel and dimed with overpriced tiered data options. None of them are pretty, and you’ll more than likely use the option 2 loophole until Verizon closes it up, but you do still have options. Also, if you successfully upgraded recently and managed to keep unlimited data, please share your story in the comments.